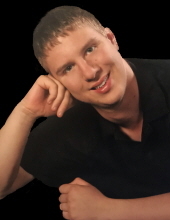 Daniel Stone, 24, of Coralville, died suddenly April 12, 2019 from injuries sustained in a motor vehicle accident. Alexander “Daniel” Stone was born December 13, 1994 in Iowa City. He grew up in the Iowa City/Coralville area and attended The University of Iowa after graduating from City High School. Daniel always thought outside of the box, was a talented artist and loved to paint, specifically abstract painting. He also loved animals, gaming, fishing and the outdoors. He especially loved helping children learn and would play games together. Builders of Hope in Iowa City played a positive role in Daniel’s life and his many accomplishments. Being the fantastic cook, he loved being able to make an entrée for the Builders of Hope potlucks with many great friends and mentors he met along the way. Above all, he loved his family, and enjoyed having dinner at his parents’ home virtually every Sunday night. He will be missed by many of his special friends and family. Daniel is survived by his parents, Terry and Helena; siblings, Heather (Barry) Welle and their two children of Grimes, IA, Anne (Jason) Brown and their three children of La Grange Park, IL, Devin (Rebecca) Stone of Cedar Rapids, IA, Zachary Stone of Coralville, IA, Michael (Hasme) Stone and their daughter of Iowa City, IA, and Dan (Tiffany) Stone and their two children of North Liberty, IA; his grandmother, Mildred Reckelhoff of Jasper, IN, and many extended family members. He was preceded in death by his grandfather Wilfred Reckelhoff. To give the family adequate time to notify all family and friends during this tragic loss, a memorial gathering will be held in early spring. In lieu of flowers, memorials may be directed to the University of Iowa Library. Please be sure to check the Lensing Funeral Home website for exact time, date, and place for the memorial gathering which will be held late May / early June. To send flowers or a remembrance gift to the family of Daniel Stone, please visit our Tribute Store. "Email Address" would like to share the life celebration of Daniel Stone. Click on the "link" to go to share a favorite memory or leave a condolence message for the family.